Essential for flow control in irrigation & water supply lines. Highly effective in micro/drip irrigation systems as a safety valve to prevent the water hammer. Recommended to maintain water column in delivery pipe. Essential for the smooth functioning of drip irrigation equipment. Good quality values increase the life and efficiency of the system. The cost involved in repairs, damages and breakages are negligible. Datta Irrigation believes in superior quality. We offer holistic solution for Control and Safety Valves. Our high performance valves are come with automatic and manual control options suiting your requirement. 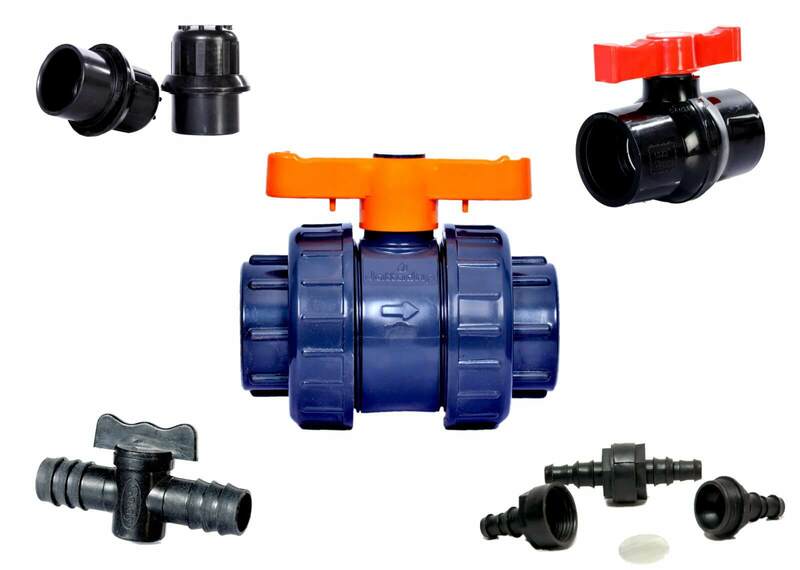 These high quality virgin plastic valves are reasonably prices, easy to install & maintain and customised for superior performance. As a part of our services, we also offer turnkey services for survey, designing & installation.